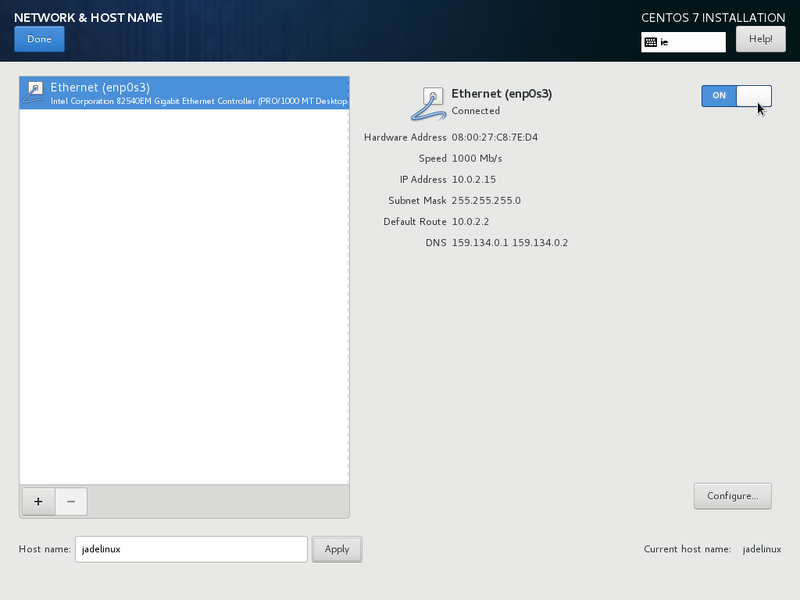 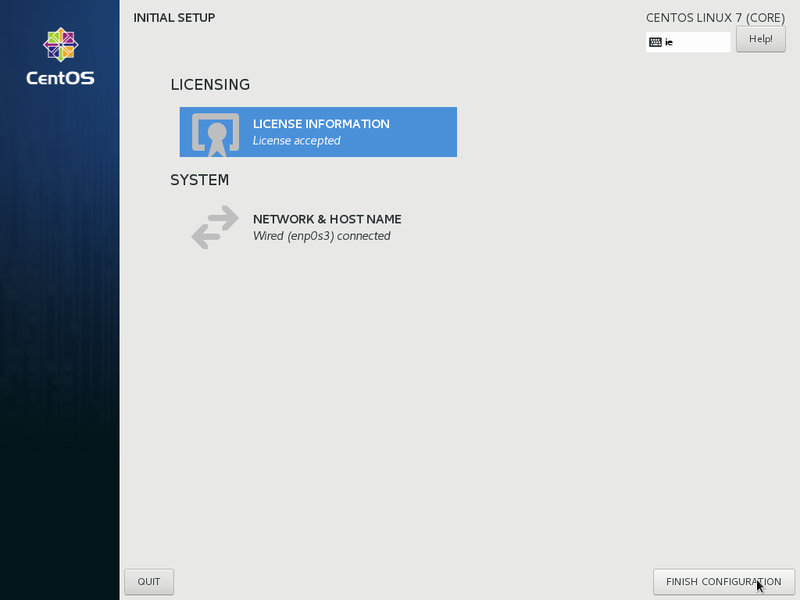 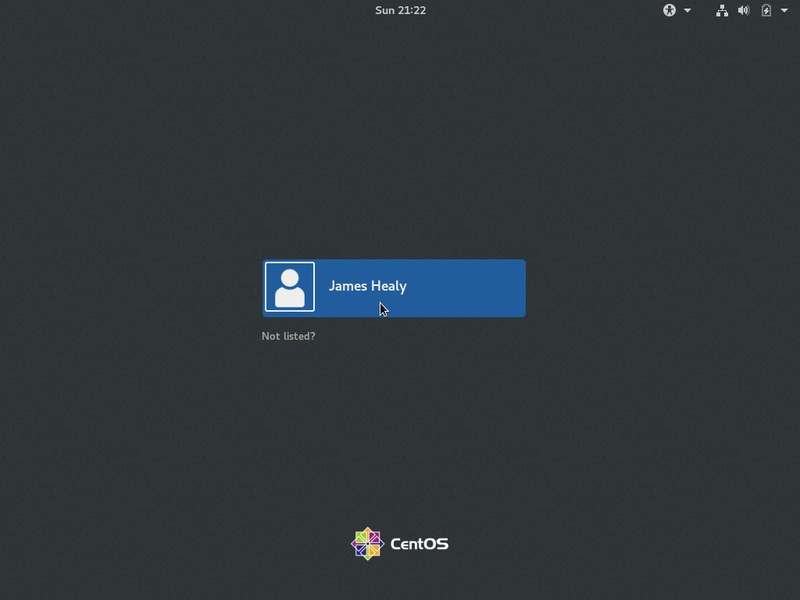 This tutorial will show you how to do a DVD install of CentOS in a Virtual box environment. 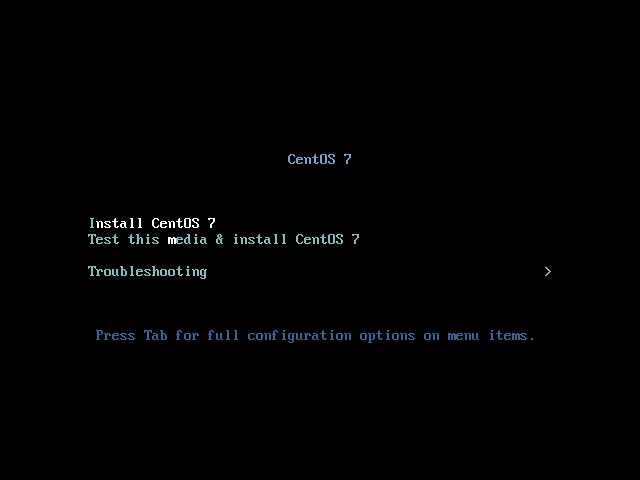 All you need for this tutorial is: Oracle's VM Virtualbox and latest Additions installed on your system and the latest CentOS-7-x86_64-DVD-1708.iso Boot image from CentOS website. 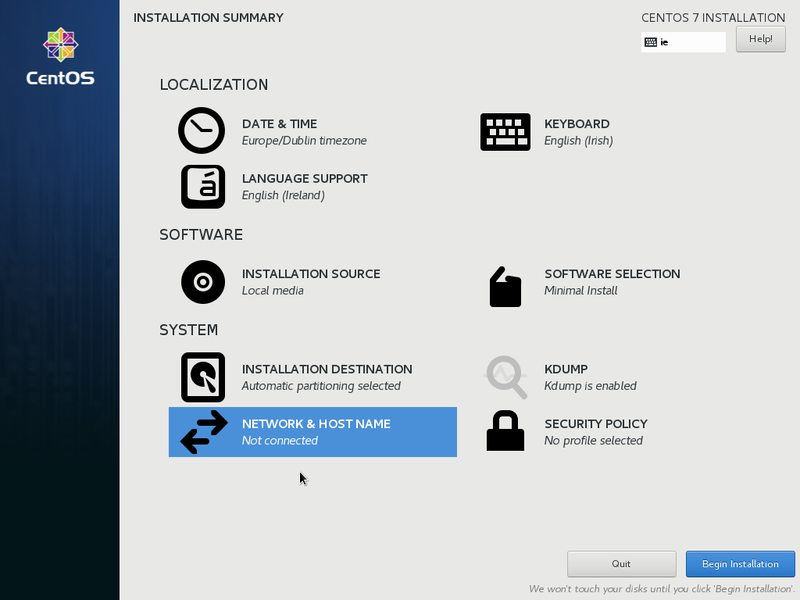 This is a 64Bit ISO so your default Architecture will be 64bit If you need a 32Bit ISO it can be downloaded from CentOS's website. 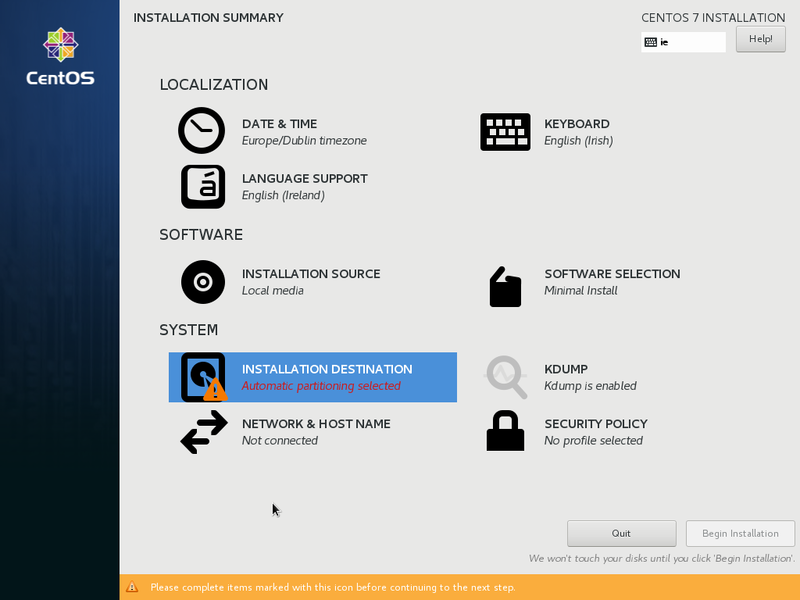 Hit "Enter" to start the install. 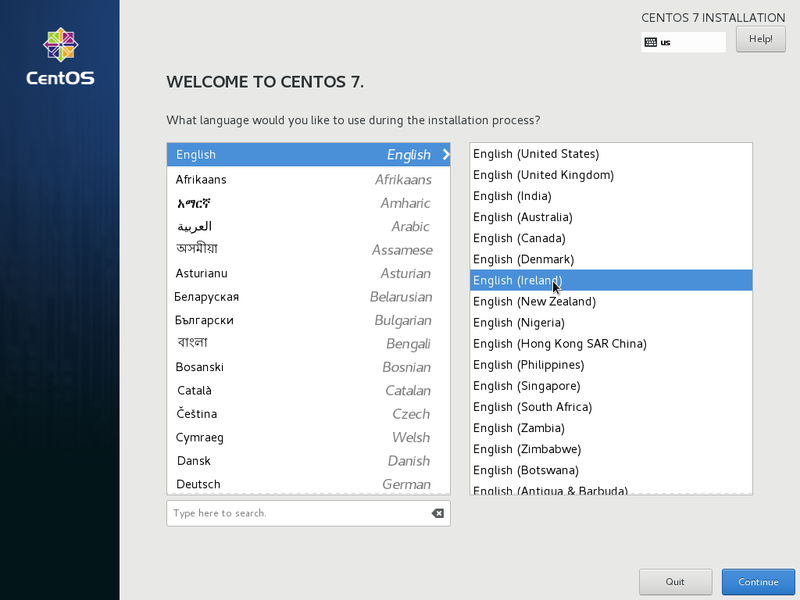 Select your Language, then click Continue. 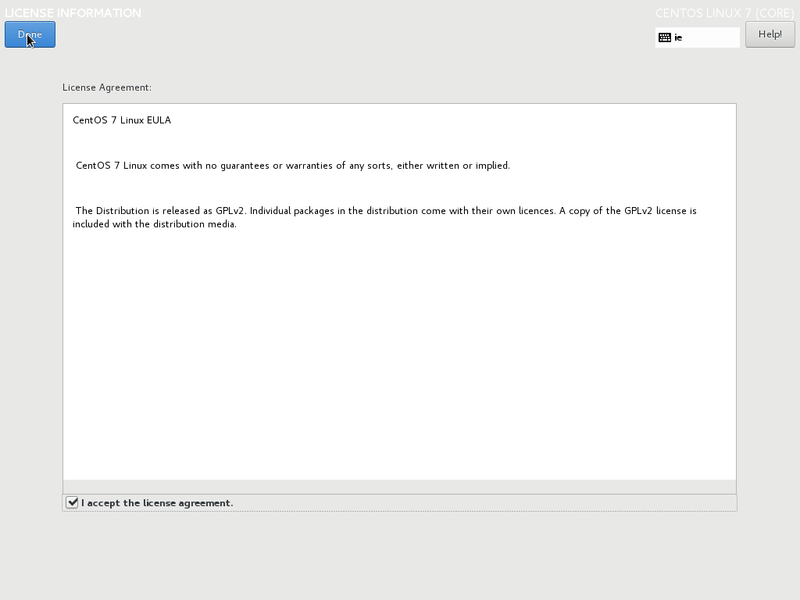 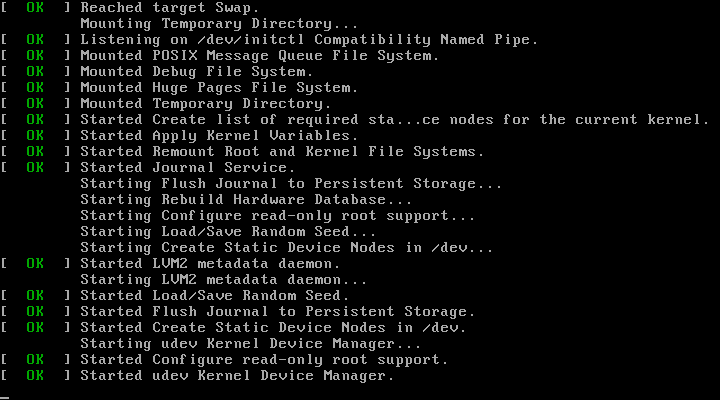 Select Automatically configure partition then click Done. 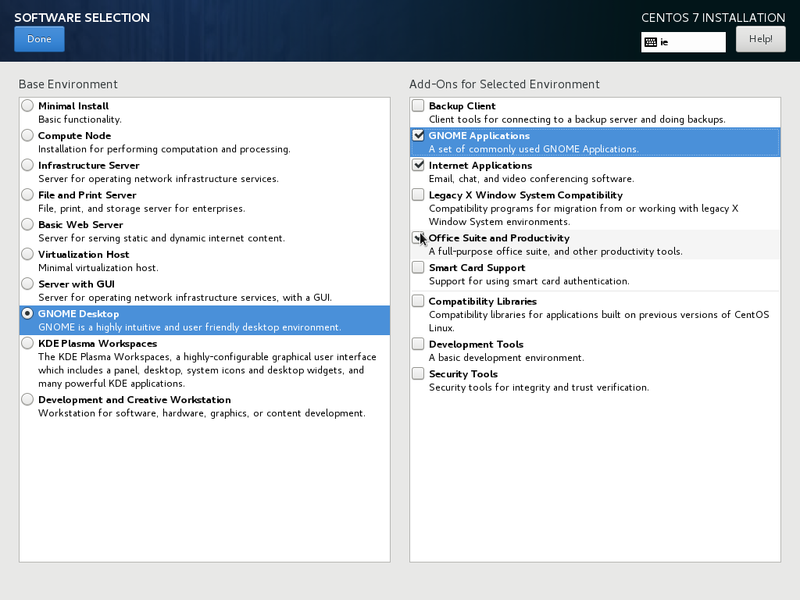 Set your hostname then click "Apply" and "Done"
Select the software you require, you can use the screenshot as a reference. 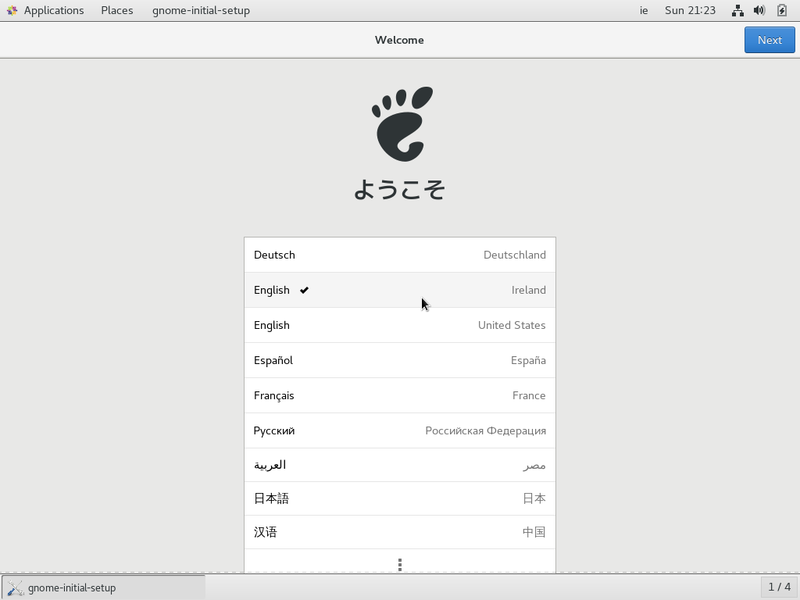 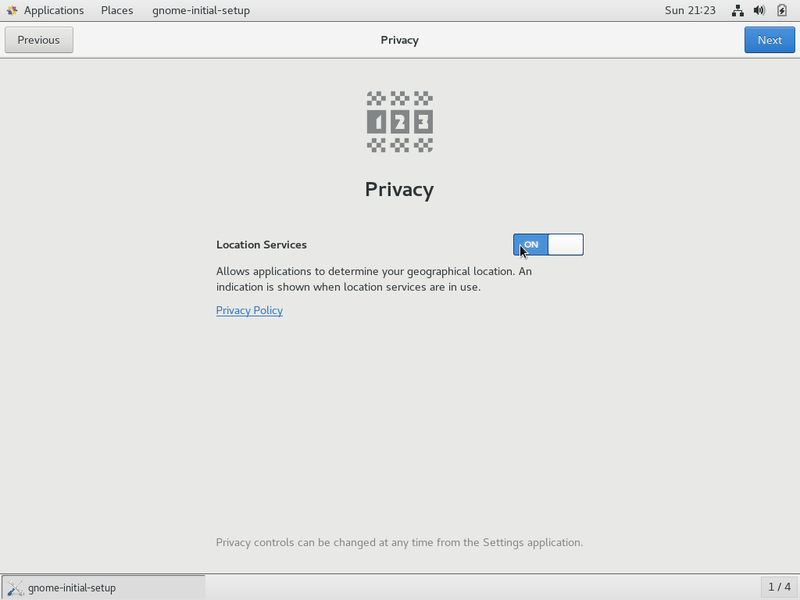 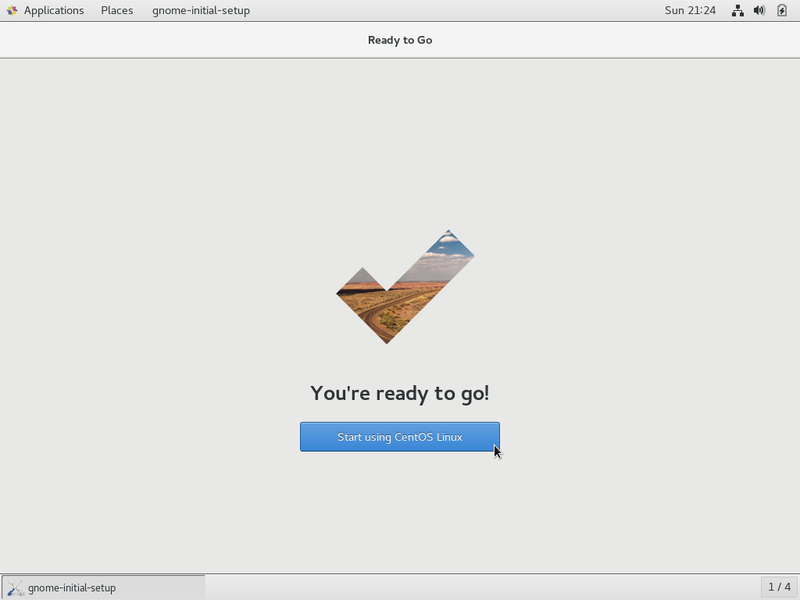 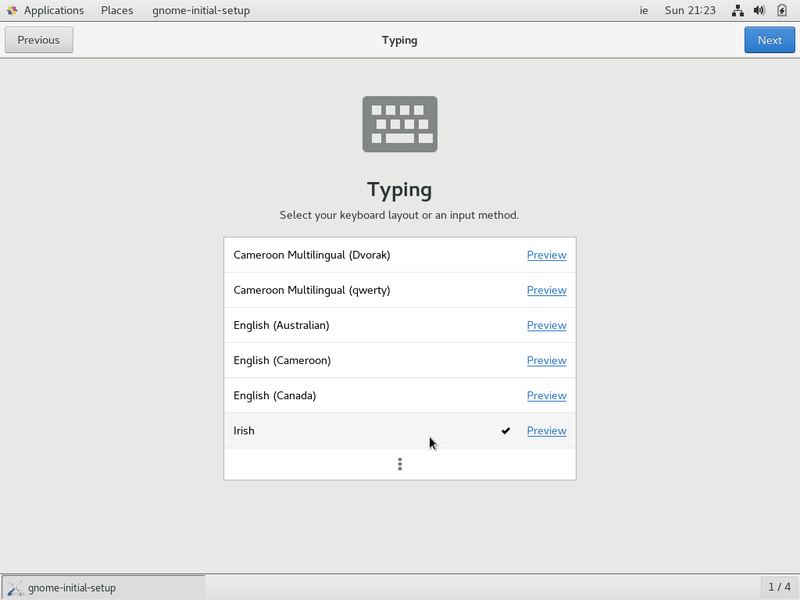 But GNOME Desktop is more then enough to get you going. 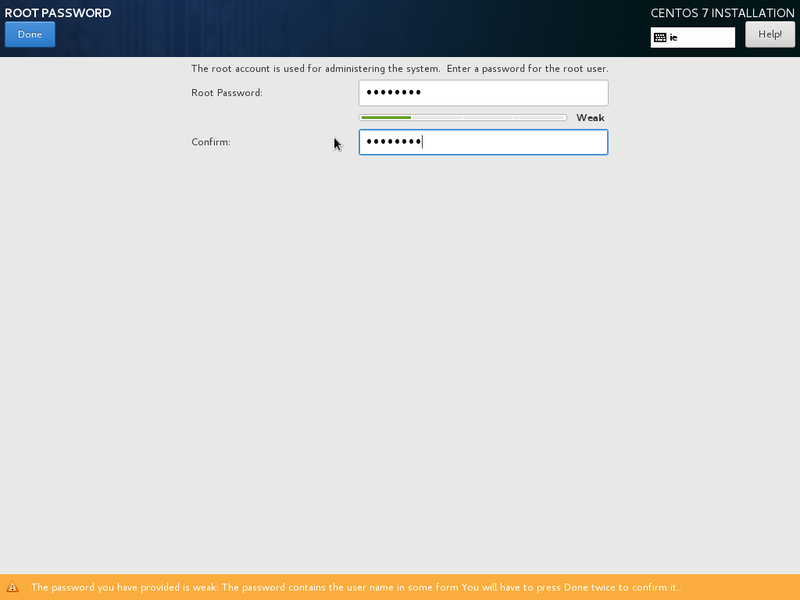 Enter a root password, if you use a simple password the anaconda installer will advise you its weak, if your happy with the chosen password click "Done" a second time. Check Make this user Administrator. 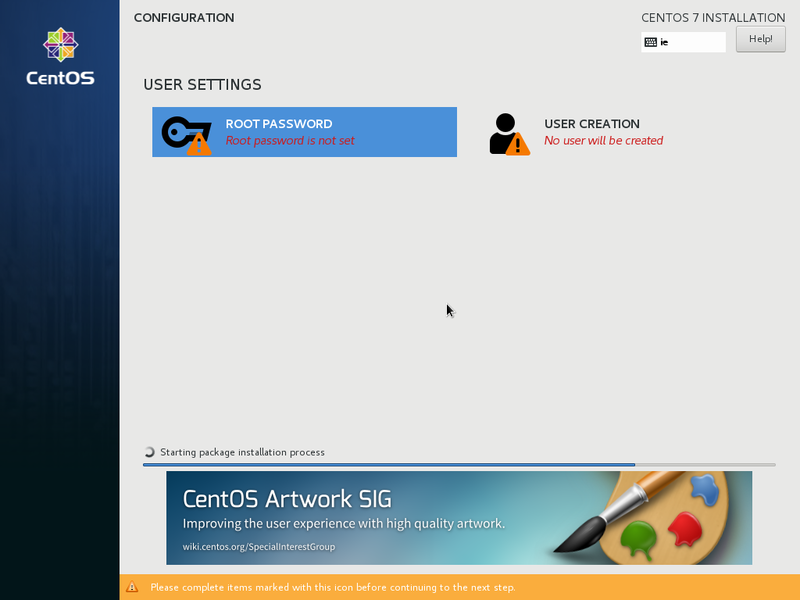 Once the installer has finished installing, click "Reboot"
Click "I accept the licensing agreement" then click "Done"
Enter your password then click "Sign In"
Adjust your Privacy settings as needed. 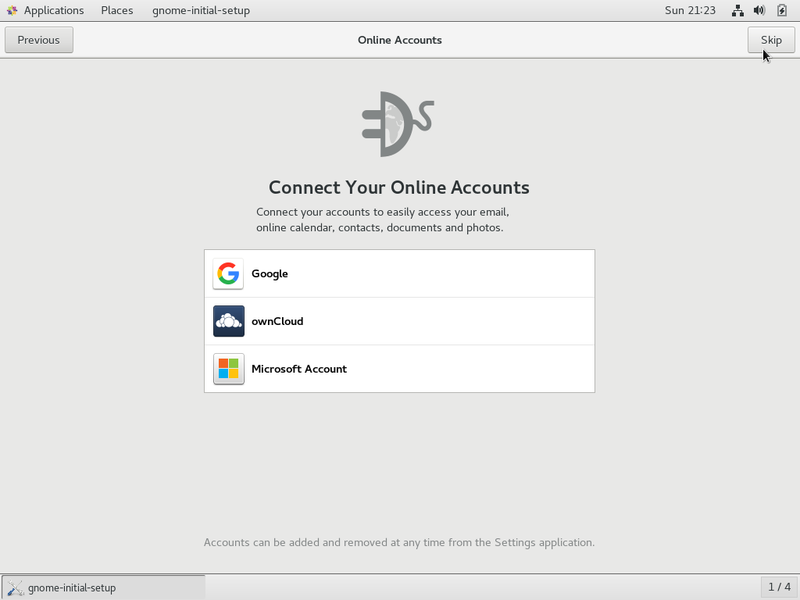 At this point you can add an Online Account, This is a nice feature as it will configure your email as well, for this tutorial I am skipping this step. 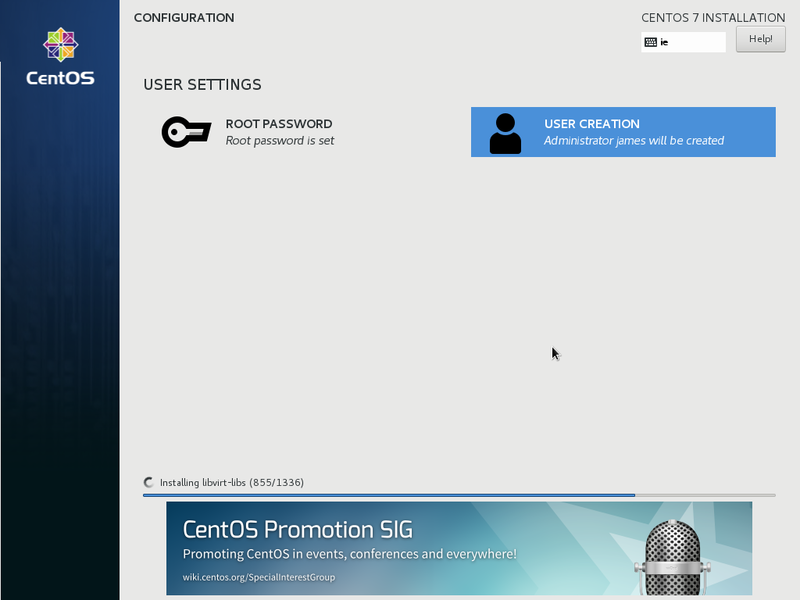 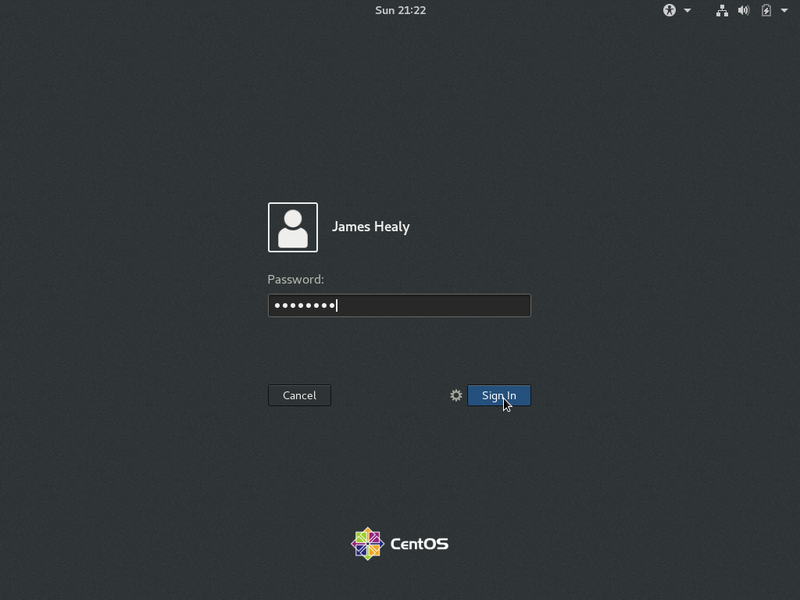 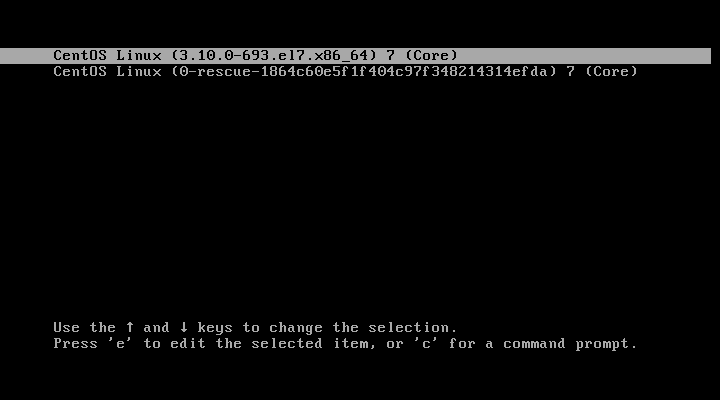 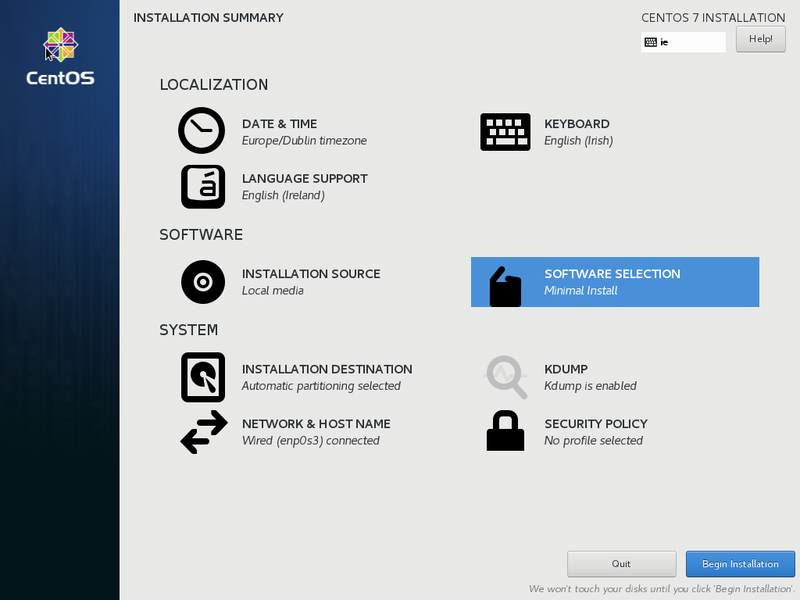 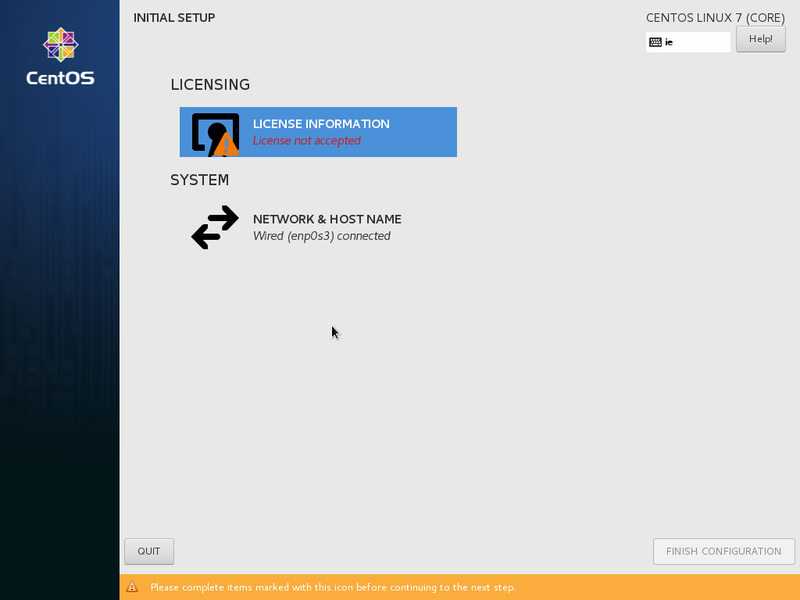 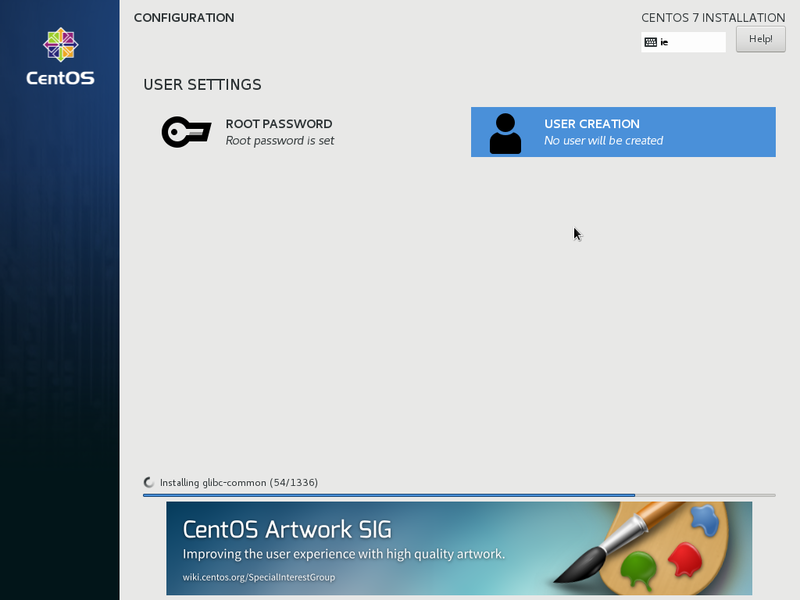 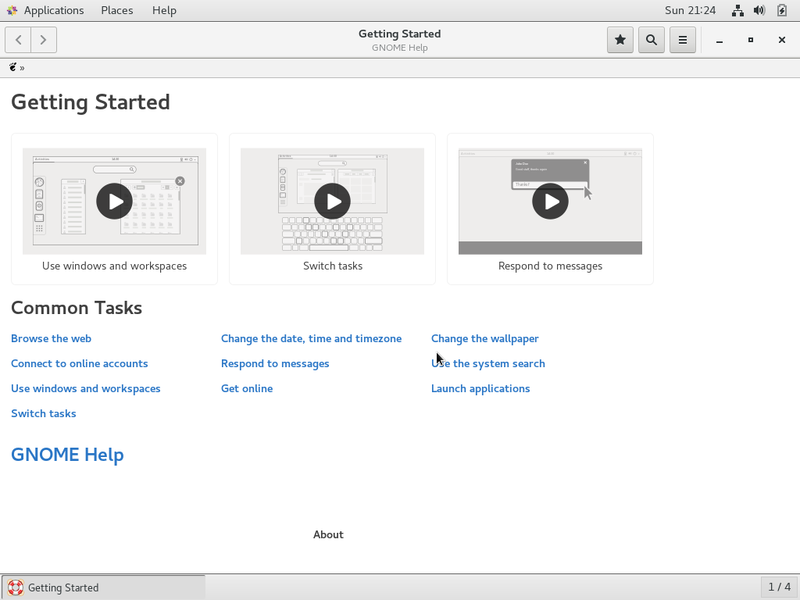 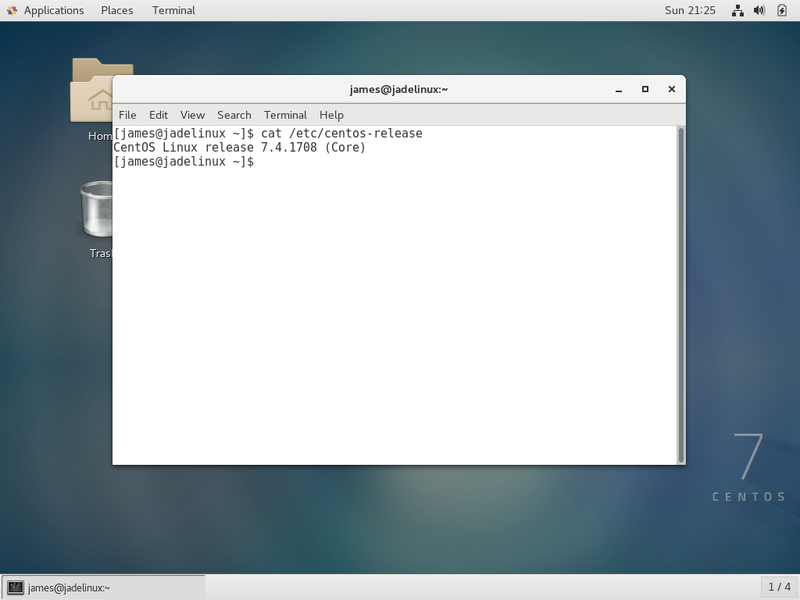 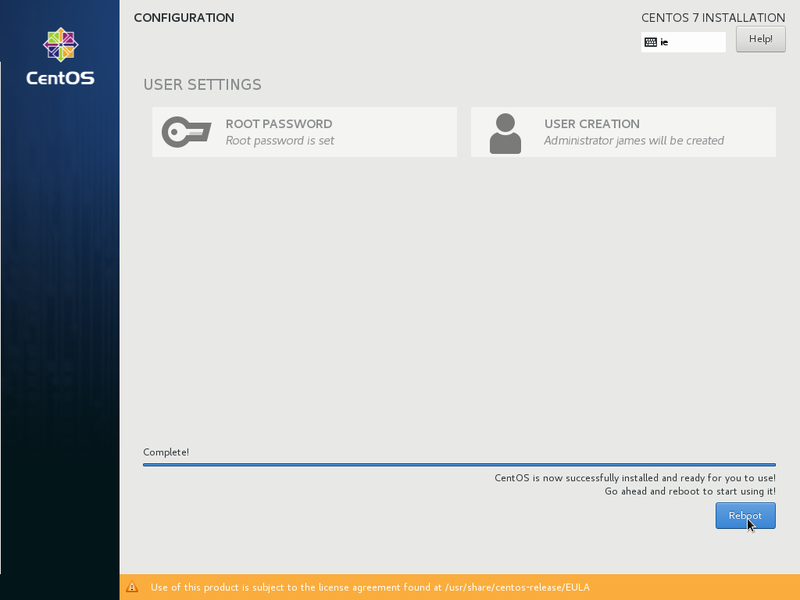 Click "Start Using CentOS Linux"